Who would have thought that Uumannaq, a small town in the northern part of Greenland with a population counting just 1300 people, would foster the front figure of Greenland’s most promising punk-rock band today? It seems unlikely that this small secluded town on the outskirts of civilization, where hunting sea mammals and fishing on the sea ice by use of dog sledge is the most common occupation, is a good place to take up playing punk-rock. But then again, maybe it is in fact likely? Jenseeraq Olsen was brought up in a family, where playing music and exploring genres in a Greenlandic context was almost a legacy. His older brother plays guitar in a well known local band, and his uncle is a member of the locally notorious heavy group Taaq (“Darkness”), who rocked the older generation and continue to tour Greenland with their popular melodic versions of heavy-rock. Jenseeraq grew up listening to his brother and uncle play music, and eventually he took up playing the guitar himself. He got a few hints from his family-members on how to handle a guitar but except for that, he learned playing by tapping along to records. By coincidence as a teenager, Jenseeraq came across Blink 182’s album “Enemy of the state” and this became one of the major influences when he started writing his own songs. Ready to attend high school, Jenseeraq had to move more than 130 miles to the south, to Aasiaat in the Disko Bay area of northern Greenland. The reason was simply, that Uumannaq was a bit short on high schools, and since there are no connecting roads in Northern Greenland, moving to Aasiaat was the best option for Jenseeraq. In Aasiaat he formed a band together with two friends Johannes Skarup and Angutimmarik Petersen. 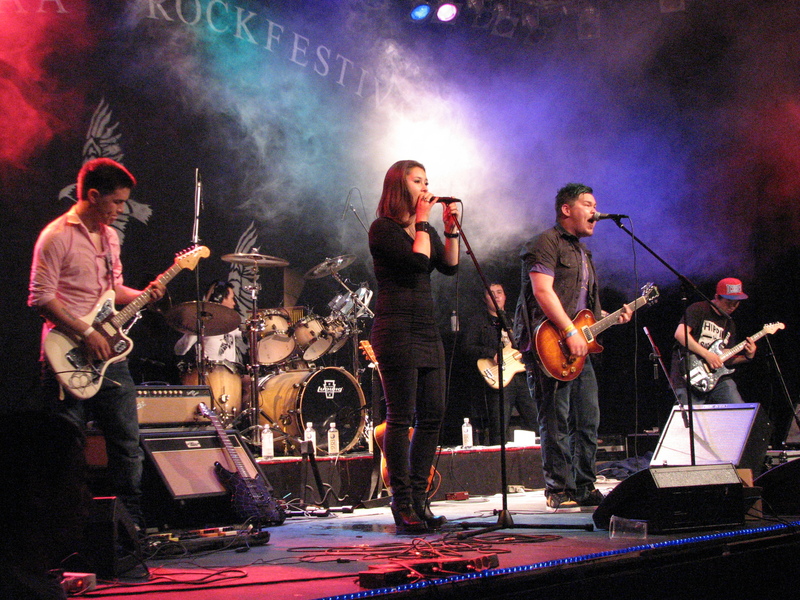 They recorded a demo on Jenseeraq’s computer and mailed it to the local record company Olsen Music. This resulted in them recording their first album “Tusaanga” (“Listen to me”), and coming up with the band name Uummat (Heart), which might sound a bit gentle for a punk-rock band but you probably need to keep it a bit positive in a place where the sun does not come up for 41 days around wintertime. Uummat hooked up with some of the local musicians on their first album. Among them was the gangster rapper Don Maliko and the singer Ikiuna Olsen, they were featured on the title track along with the track “Aliortugaq” (“Ghost”), which is actually accessible on youtube along with a quite decent music video. This track along with the title track became small successes and paved the way for the second recently released album from Uummat “Toornat Akornanni” (“Among the helping spirits”). On this album, the track “Kalaallit Nunaat” (“Greenland”) featuring the adorable local singer Nive Pedersen, has so far won recognition among the young audience in Aasiaat. 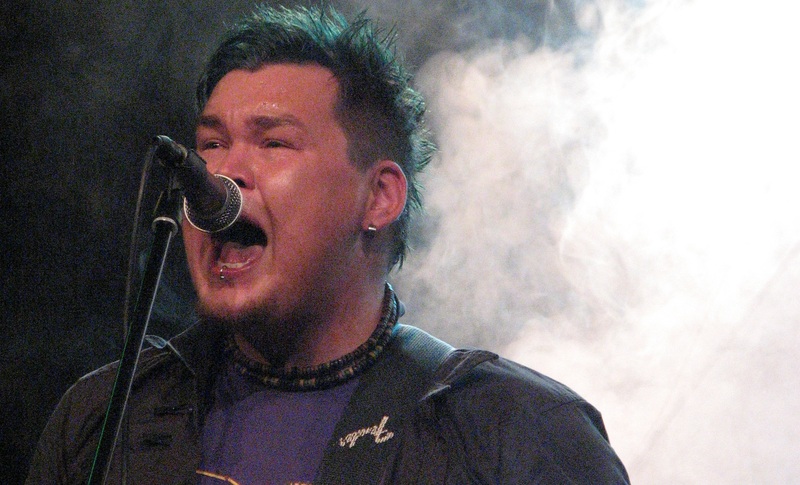 The song, Jenseeraq explains, is about the beauty of his home country and the pride he feels being Greenlandic. He is aware that making this anthem-like song is not very punk-rock, but this is exactly what makes his music more than a copy of commercial punk-rock bands like Blink 182. Though the international inspirations are obvious the content is local, and in an emergent country like Greenland, which is still under influence from decades of Danish colonization, some Greenlandic artists consider it important to promote national pride as an alternative to postcolonial feelings of inferiority. For the second year in a row Uummat is playing at one of Greenlands biggest annual festivals – Nipiaa Rock Festival. Both Jenseeraq’s brother and his uncle have been on stage with their bands prior to Uummat’s performance, but Uummat plays the closing gig at this year’s festival. It is around 2 am as people gather in front of the stage in the local gym in Aasiaat where the festival is held. “Uummat! Uummat!”, the audience is shouting. As the band goes on stage and starts playing, they go crazy. 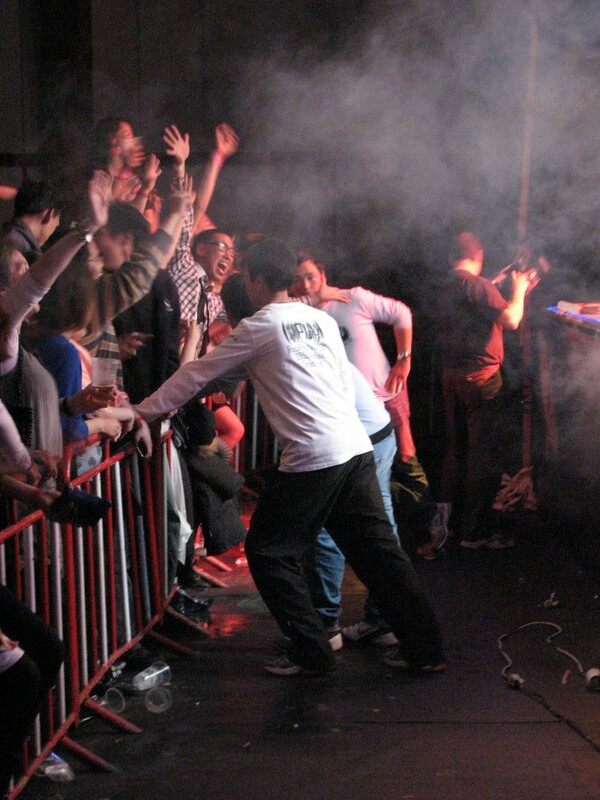 The exalted atmosphere is kept all through the concert. People are jumping, dancing, and singing along with the music. Because the tunes are catchy and the energy level high, Uummat succeeds in creating an audience for themselves in a country where there has been no considerable Punk-Rock scene prior to them. Jenseeraq looks like a lonely punk with his green hair, piercings, and multiple tattoos, as he i s standing in front of an audience consisting of neatly dressed boys and girls, and even quite a few people from the older generations. But there is an increasing acceptance of these kinds of statements of subcultural identity in the secluded urban spaces of Greenland, and the audience loves him. This night, together with his band-mates in Uummat, Jenseeraq succeeds in creating a surprising and extraordinary punk-rock experience about 150 miles north of the arctic circle. Wow! This is like a dream! Punk Rock in Greenland. Greenland is one of the top places on my list of places to go… and to find punkrock there… it’s even better. I hope the band sees this and gets in touch. (Facebook too). I hope more I’ll get to meet you! It was 3 years ago that I discovered Prussic on youtube. I have ever since been trying to buy their music but nowhere in the Internet could it be found. I want to own the album with the song Angjoqqaat. Someone, please tell me how I can buy this CD. The album can be bought from surplus stocks in shops in Greenland (as well as a few in Denmark), but since the record company that released the CD has gone out of business, I believe this is the only option.